Very hot and dry summer is posing a challenge to European farmers, who have had to implement irrigation systems almost everywhere to give olive trees some relief from the heat. With a view to mitigate and prevent climate change impacts on crops, various and different methods and approaches are currently being researched by experts at a global level. Among these, Cristos Xiloyannis has for years been committed to developing sustainable and relevant olive growing management practices. In this context, it would be useful to deepen the knowledge and technologies of ‘dry-farming,’ since the rise in spring and summer temperatures affect water consumption due to a greater transpiration in leaves and evaporation from the soil. Xiloyannis pointed out that at this rate, over the next few years, we could increasingly experience water stress especially with regard to traditionally non-irrigated crops such as olive trees. Moreover, the rise in temperatures during winters will affect the needs of different olive varieties at low temperatures, namely their chilling requirement. Considering that each variety needs to spend a period below 6°C (42.8°F) during the cold season in order to prepare flower buds and produce fruits the following year, milder winters could lead to low productivity. Furthermore, a general global rise in average temperature can cause a higher total annual precipitation. Our expert in eco-physiology suggested relying on the processes of the water cycle to cope with these issues, starting from the assumption that the greater intensity and growing number of thunderstorms not only can cause damage but also make it difficult to ensure water reserves in the subsoil. Undersowing with volunteer plants of several varieties improve the structure of soil thanks to the roots which run deep making room. “When the old roots die, they promote the development of new roots thanks to the activity of microorganisms,” he explained. Moreover, if we cut the cover crop and left it to lay on the ground twice a year, we enrich the soil with carbon, promoting chemical and microbiological fertility thanks to the organic matter and will help the soil absorb more water during the rainy season. Reducing leaves in favor of a root system is also helpful to better tackle drought and the olive trees’ increasing need of water. “Just to give an idea, if rainfall from September to March reaches 300 millimeters (11.8 inches), our goal is to collect at least 200 millimeters (7.8 inches) in the soil, which equals 2,000 cubic meters of water per hectare (28,582 cubic feet per acre),” Xiloyannis observed. These measures also help to prevent floods, as rain water will not remain in topsoil filling in canals and rivers; moreover, they will limit soil erosion, while preventing fertilizers and herbicides from reaching water in surface layers. Xiloyannis and his group of researchers are promoting the use of treated urban wastewater for irrigation of olive trees. “Purified wastewater contains nitrogen, phosphorus, potassium, calcium, and other fundamental elements for the development of plants, and we can already rely on the example of Israel, where 50 percent of the water used in the agricultural sector comes from urban wastewater,” he said, adding that in Apulia alone, 1.2 million cubic meters (42.4 million cubic feet) of treated wastewater per day could be reused. With the University of Basilicata, they carried out trials for 15 years in a mature olive grove in Ferrandina, in the province of Matera, consisting of plants of the autochthonous dual-purpose variety Maiatica di Ferrandina’ planted with an 8 x 8-meter (26 x 26-feet) spacing. The choice of the experimental site has been relocated to the Lucanian town, as it has a sewage system with a relative irrigation network without the need for a pumping system, and this has made it easy and affordable to carry urban waste treated from the municipal wastewater collection tank to experimental olive grove. The wastewater used in the experiment was purified using simplified treatment schemes that recovered part of the organic substance and mineral elements contained in the wastewater, significantly reducing purification costs. It was distributed by drip irrigation in part of the orchard. A nearby non-irrigated and tilled plot, having plants with similar features, was used as a control. This kind of irrigation increased the productivity of olive trees and limited the phenomenon of alternate bearing, while the extra virgin olive oil obtained was found to be excellent. 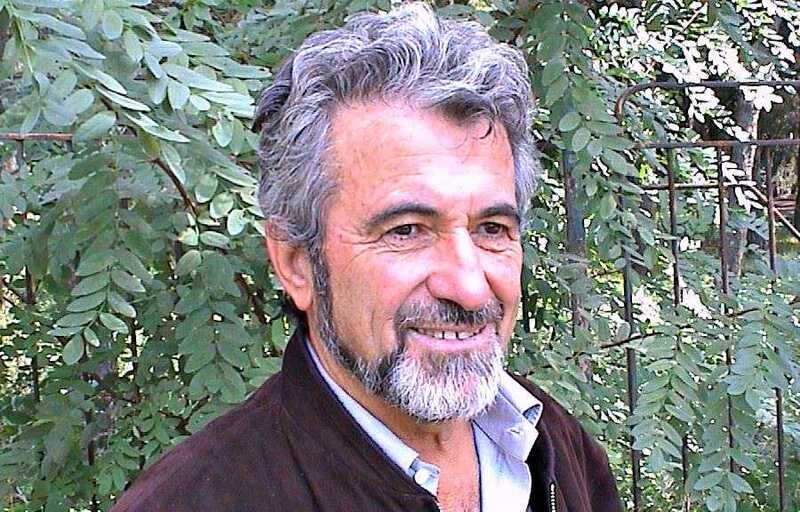 “Over the next few years, the implementation of environmentally friendly management techniques and sustainable farming approaches could be part of the solution in preventing the effects of climate change,” Xiloyannis concluded.